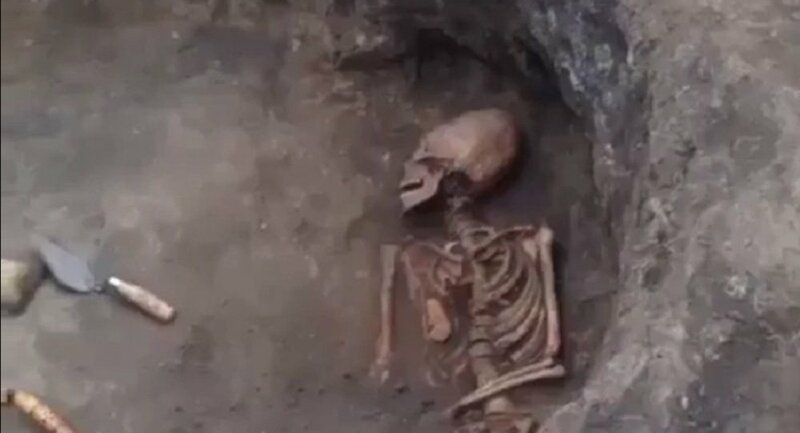 Archaeologists from the Institute of Caucasus Archaeology have unearthed a strange-looking skeleton of a woman, who is believed to have lived sometime between the 4th and 6th centuries, near the Russian city of Nazran in the Caucasus Mountains. Her skull appears 'alien-like', as it was severely deformed and egg-shaped. The strange shape of her skull and incredibly full rows of white teeth led scientists to believe that she belonged to a noble class of citizens. This is not the first time that archaeologists have found such skulls — several other nations, like Alans, Huns, and Samaritans, used special techniques to change the shape of skulls and necks. This was allegedly done by the nobility to underscore their status. Normally this was done by applying tight bandages or putting rings on children's heads early in life, when the body develops its shape.